So, sometimes you don’t know what you have until you research it. This vintage dot-to-dot book in David’s collection took me by surprise. While doing the research on this book, I looked up the illustrator. Usually, the illustrator is not well known, after all, it’s just a dot-to-dot book. But when “Snow White”, “Bugs Bunny” and “Elmer Fudd” popped up, I knew it was a big illustrator. 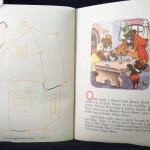 The Story of the Three Bears (dot-to-dot version) illustrated by Charles “Cartoon Charlie” Thorson is a rare find. The book was printed by James & Jonathan Inc. for publisher Samuel Lowe Company, Kenosha, WI in 1956. 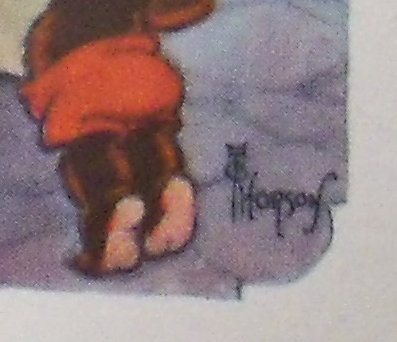 The art work from Thorson was from an earlier Three Bears story from April 1946, publisher: John Martin’s House ( a trade name of Lowe’s). According to the University of Manitoba Archive Collection, “Cartoon Charlie” retired to British Columbia in 1956. 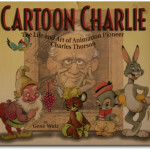 Throughout his illustrating career Charlie worked for Walt Disney, Warner Brothers, Fleisher Studios and Eaton’s. He is the original creator of Bugs Bunny, but Warner Brothers changed the look of Bugs to the current rabbit’s appearance. 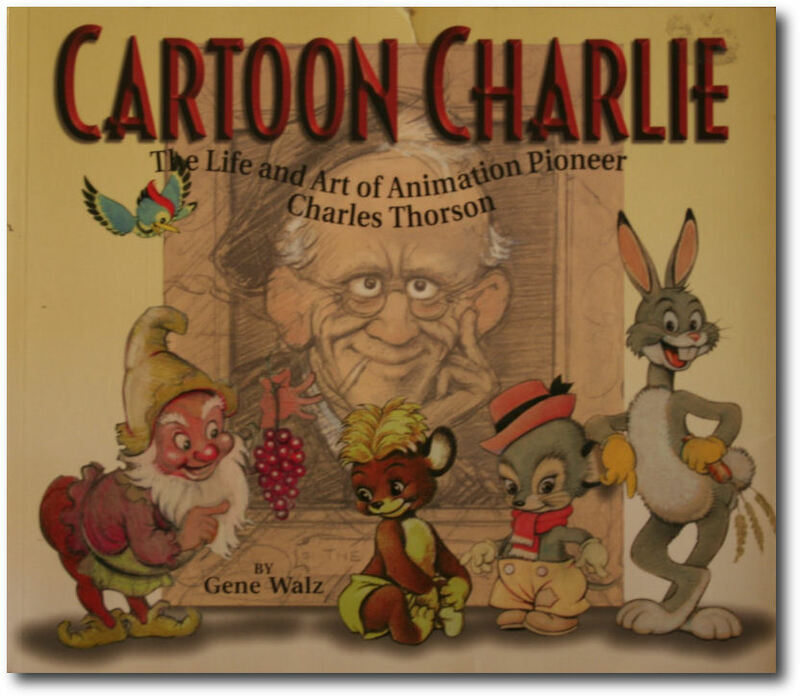 There was even a book written about his career, “Cartoon Charlie: The Life and Art of Animation Pioneer Charles Thorson“, by Gene Waltz. Back to the vintage dot-to-dot book…this book is different from most books. The front cover has a spinner on it. The spinner animates dotted lines and shows the furniture and bowls “Golden-Locks” tries to use. 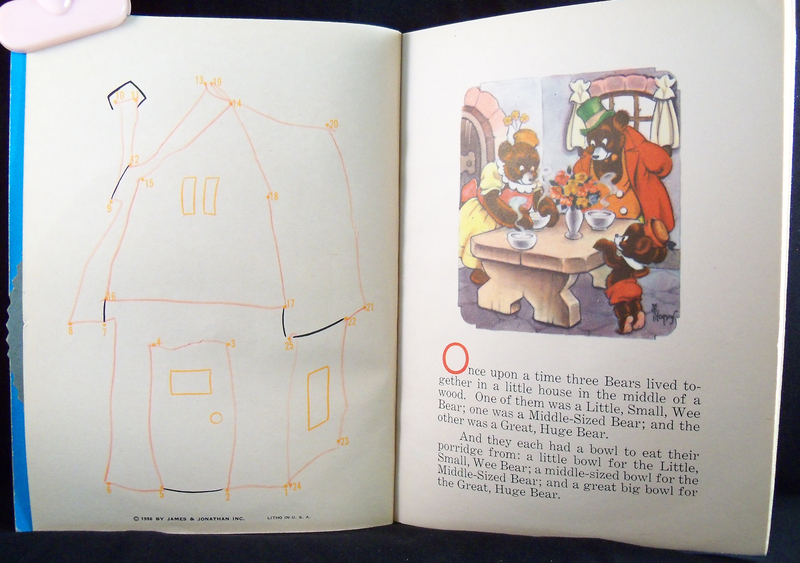 Originally the artwork came from “The Story of the Three Bears” (story book) illustrated by Charles in 1946. The images were added to the dot-to-dot version. The first Three Bears story was written in the 1800s. A later variation is used in this dot-to-dot book. It seems that Samuel Lowe Company reprinted the Thorson’s original story book, adding the dot-to-dot puzzles and possibly removing some images. The original book is said to have 32 pages. The dot-to-dot version has 24 pages with only 12 artwork images. The other 12 pages have simple dot-to-dot puzzles with numbers up to 25. The cover does not look like Thorson’s art. I also do not see his signature on it. 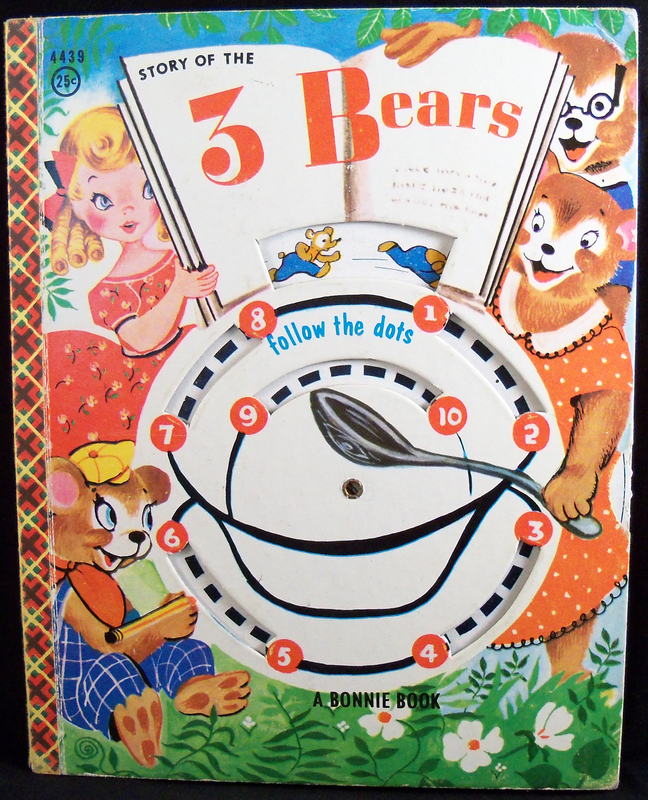 “The Story of the Three Bears” dot-to-dot originally sold for 25c and is #4439 of the Checkerboard Bonnie Books series.